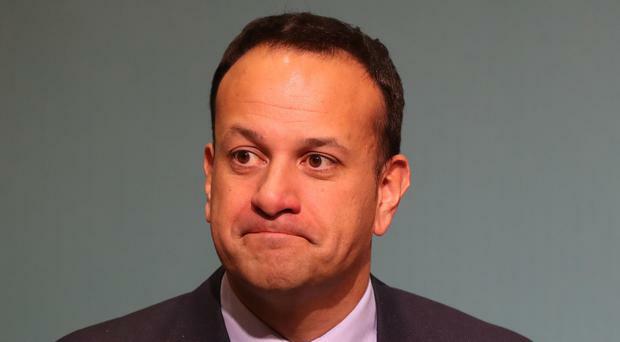 The Church of Ireland Gazette has called on Taoiseach Leo Varadkar to provide more clarity about the referendum vote on abortion in the Republic. In a hard-hitting editorial, the Gazette, which has an independent voice in the Church of Ireland, stated: "The Taioseach says that 'this is now a matter for the Irish people'. However, the people of Ireland will need to be clear exactly what they are being asked to put their name to." The May referendum will ask people to decide whether to keep the Eighth Amendment, which affords equal status to the life of the mother and the unborn child, or to reject it and bring in more liberal abortion legislation. An Oireachtas committee has already backed the removal of the Eighth Amendment in order to legislate for unrestricted abortion up to 12 weeks of pregnancy, and after 12 weeks on health grounds. Earlier this week the two Church of Ireland Archbishops, Dr Richard Clarke of Armagh and Dr Michael Jackson of Dublin, confirmed the Church's opposition to unrestricted abortion "while being concerned to ensure provision for hopefully rare circumstances, and in a secure medical setting". The Church of Ireland Gazette stated that the Eighth Amendment "inspires the deepest of feelings, and how could it not?". It added: "When an issue touches deep passions it is easy to move beyond arguing vigorously for what we believe, to attacking the humanity of the person with whom we disagree. "To put it more colloquially, it is to end up 'playing the person and not the ball'. That phrase seems hardly adequate for what we are talking about, but the meaning is clear." The Gazette claims it is unlikely the debate "is going to escape the temptation to be emotive". "The Eighth Amendment remains one of the most morally, socially and politically divisive issues in modern Ireland," it said. "Some may see it as symbolic of the profound social change that Ireland has been going through in recent years. Others may regard it as a symbolic knock at the power of the Church in the emerging Ireland. "While this may be part of the mix, there is something much more important underneath it all-human life itself. The lives of pregnant women and the lives of children in the womb are what we are talking about." Previously, Mr Varadkar said: "The question has to be a 'yes' or 'no' one - do we reform our abortion laws or do we leave them as they are? "For my part I will advocate a 'yes' vote. My own views have evolved over time. The experience of life does that." The other main Churches in Ireland - including the Presbyterian, Methodist and Catholic Churches as well as the Church of Ireland - have come out strongly against abortion on demand. No date has yet been set for the referendum.